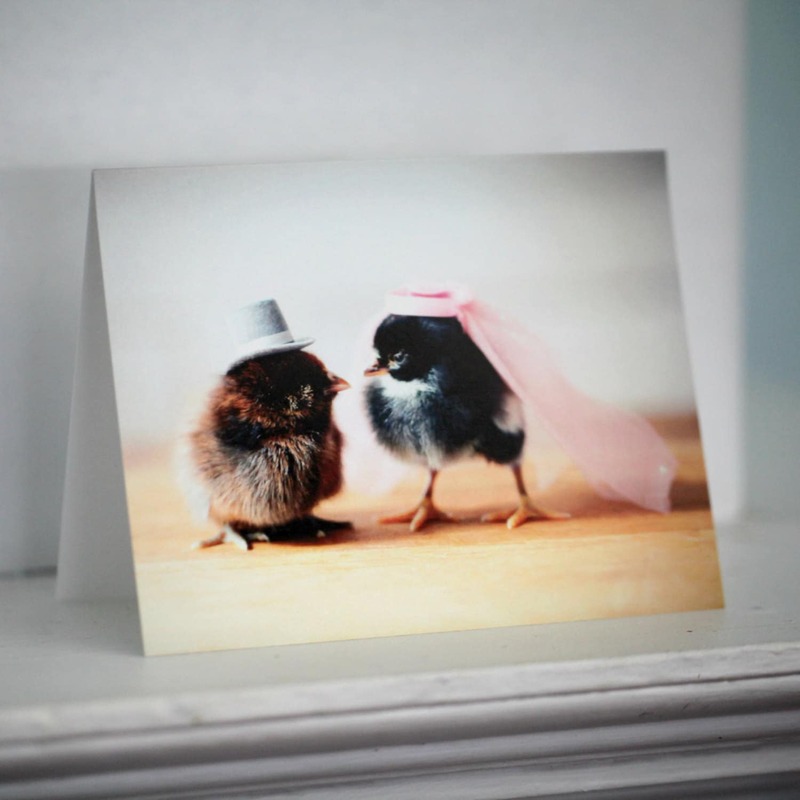 Chicks in Hats folded note card, with the image of two chicks wearing a hat and a veil on the front. Such a cutesy card! I loved it :) Shipped and delivered quickly as well. Thank you.